My Baby Orchid Has Bloomed! Aside from these two lovelies, I have three other Phals in spike so there will be plenty more blooms in the coming months. Blooming season has arrived! 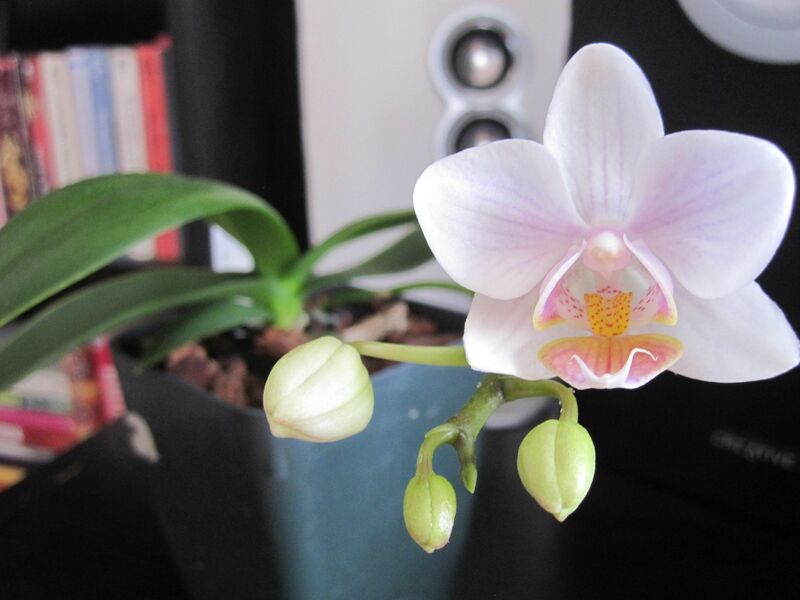 ← My First Orchid Bloom of 2013! I have recently found your blog and subscribed to it on my google reader. It has inspired me! I can’t wait for another update!! THANK YOU for being detailed (like spike vs root growth and where to cut). I learn mostly visually so that is SO helpful. Thanks Emily – you’re so sweet! It makes me happy to know that my blog is helpful. 🙂 Happy growing!